Our Natuzzi Chaise Sectional Sleepers offer unmatched comfort as both sofa and bed. All of our Natuzzi Chaise Sectionals are available in our highest grade leather options and even include customizable welted detail. View Natuzzi’s selection of Chaise Sectionals below. The Natuzzi Editions Sangro Storage Chaise Sectional Leather Sleeper offers a clean lined design, transitional styling and a sizable hidden storage compartment inside of the chaise itself. The Sangro is fully customizable and can be upholstered in a vast array of 100% top-grain leathers. You can even choose the color of the contrasted piping! 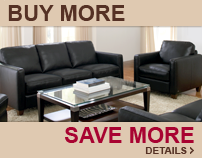 Need your Natuzzi in a hurry? Choose the Natuzzi Editions Roya Chaise Sectional Leather Sleeper Sofa in Matera Chestnut. This Quick-Ship option is available in stock and will arrive at your home within approximately 7 to 10 days of purchase.